This classic dining chair with beautiful detail is painted a dark red colour, upholstered with a themed red on white printed material. 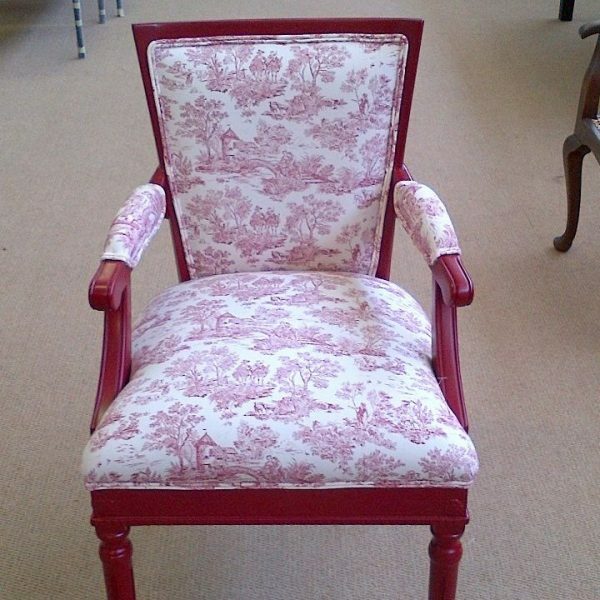 Colour: Red painted wood upholstered with a red on white print. Materials: Painted teak wood with material upholstery. Dimensions: 460mm x 570mm x 800mm.